Hello friends! I am ready for Summer! I’m longing for those long days with lots of sunshine and clear blue skies and wearing sunglasses sitting by the pool. 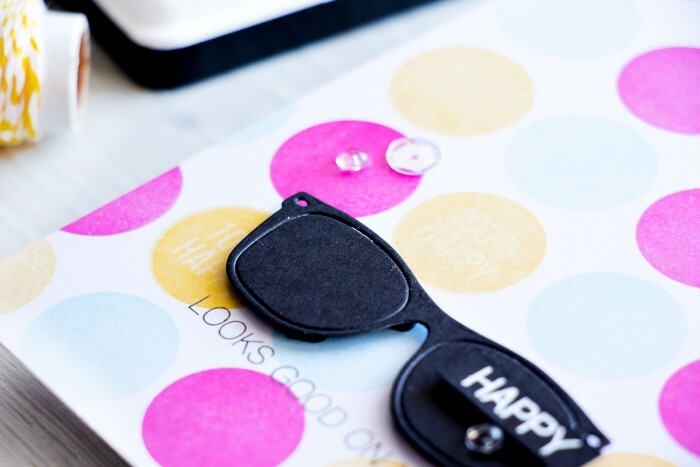 Speaking of sunglasses – I’m using a sunglasses die cut as a focal point of my project today – Happy Looks Good On You. I think its such a fun die, perfect for summer! I’m all about creating my own unique stamped backgrounds these days so I grabbed 2 circle stamps – a solid one and another one with a 100% happy sentiment and stamped a simple circle background. I used 3 colors of ink – Duckling, Doll Pink and Surf Blue, I was going for a bright and cheerful color combo. I also stamped the pattern at an angle to make it a bit more interesting and fun. 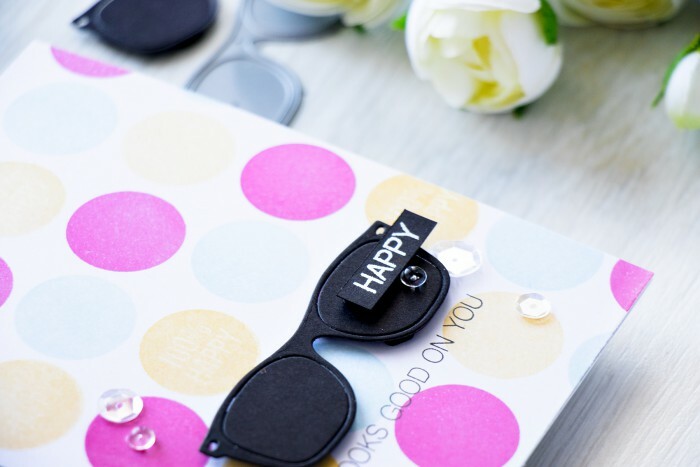 The focal point of the card is the sunglasses die, I cut it out of Simon’s Black cardstock and used the same card to heat emboss a part of the sentiment. For the sentiment I used Happy Looks Good on You from the Choose Happy set. 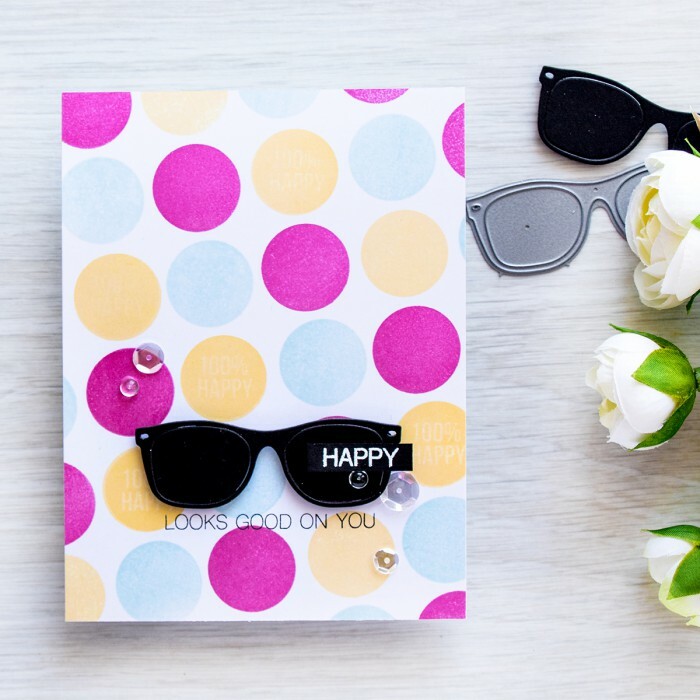 The “Looks Good on You” part was stamped in black ink directly onto the circle pattern and the “Happy” part was heat embossed in white embossing powder onto black card. 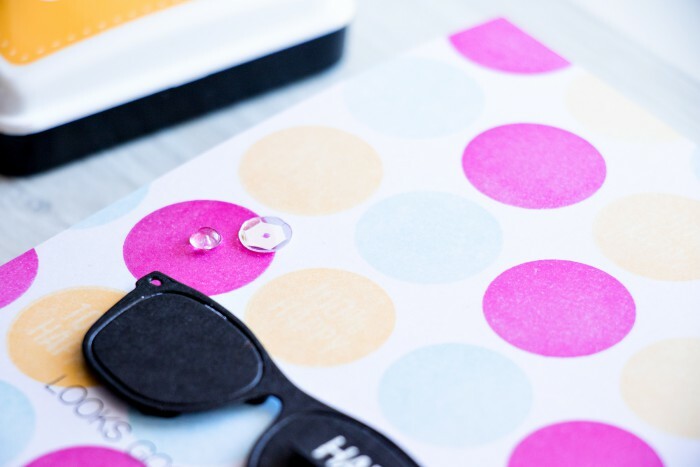 I foam mounted the sunglasses and also the Happy sentiment and added a few clear sequins and drops from Pretty Pink Posh to finish this project. Such a fun and cheerful card. Love it! It is truly awesome! Love that pattern and especially the sentiment circle stamped over the solid one! Now I’m very happy after seeing your card. 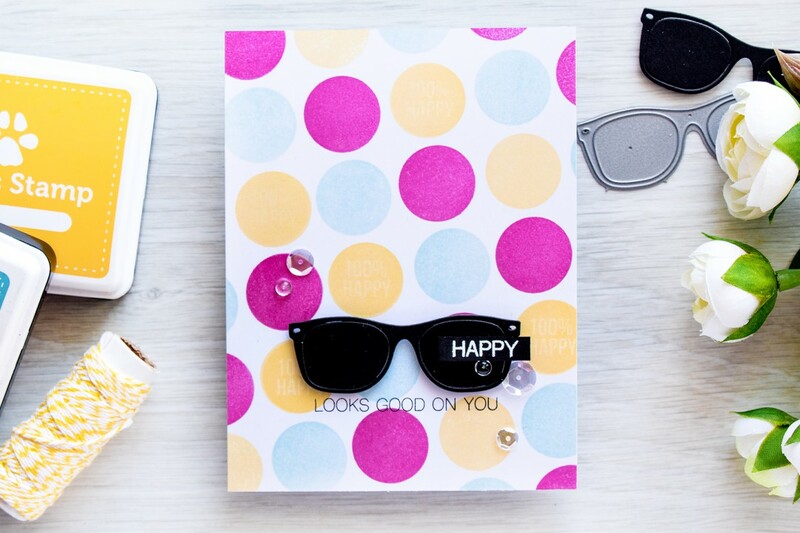 Love your fun and bright card!